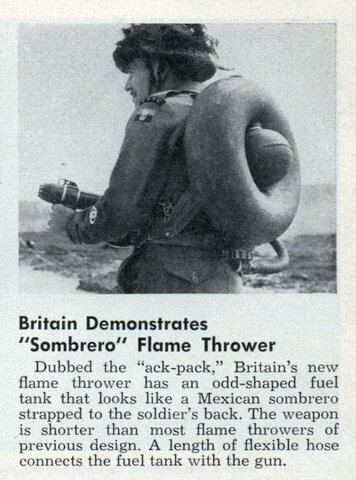 Dubbed the “ack-pack,” Britain’s new flame thrower has an odd-shaped fuel tank that looks like a Mexican sombrero strapped to the soldier’s back. The weapon is shorter than most flame throwers of previous design. 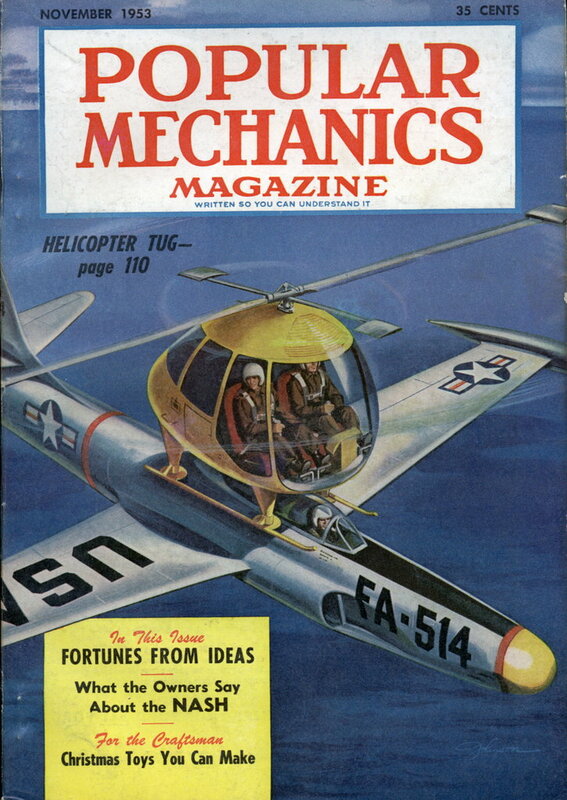 A length of flexible hose connects the fuel tank with the gun.